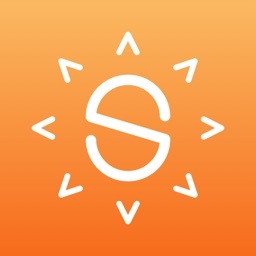 Do you want an iPhone and iPad app that will help you get "in sync" with the sun? 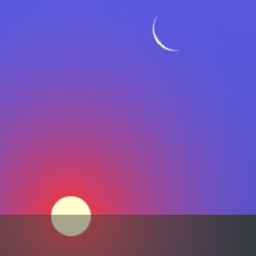 Do you want to be notified a little before sunset or sunrise so that you can get out at these beautiful times of the day? Are you a photographer who loves the quality of light during the Golden Hour? If so, "Sun of Time" is for you. 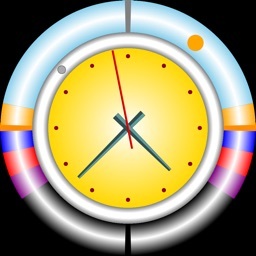 Our app makes it easy to be aware of when all these daily solar events occur and it does so with a beautiful clock face that you will want to leave up all the time. 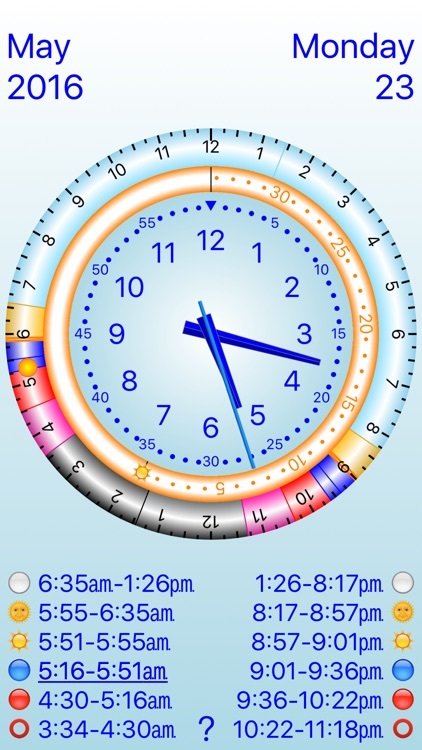 Sun of Time packs all this information into two intuitive bands around an analog clock face. The outer band shows the 24 hour day and where the sun currently is. 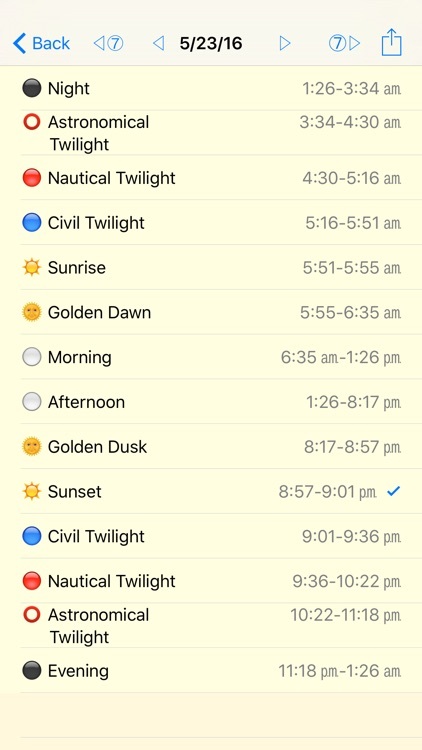 You can see the sun enter and pass through Astronomical Twilight, Nautical Twilight, Civil Twilight (the photographer's Blue Hour), Sunrise, and then the Golden Hour. 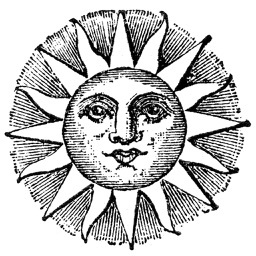 There is even an indicator for when the sun is directly overhead. The inner band is a timer. So for example, you can see how many minutes are left in the Golden Hour. 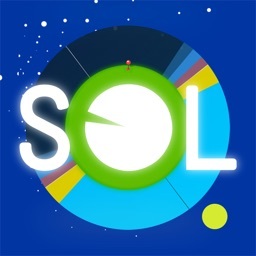 All these solar events are marked with color theme changes that set the look of the clock to a combination of colors reflecting the solar event. 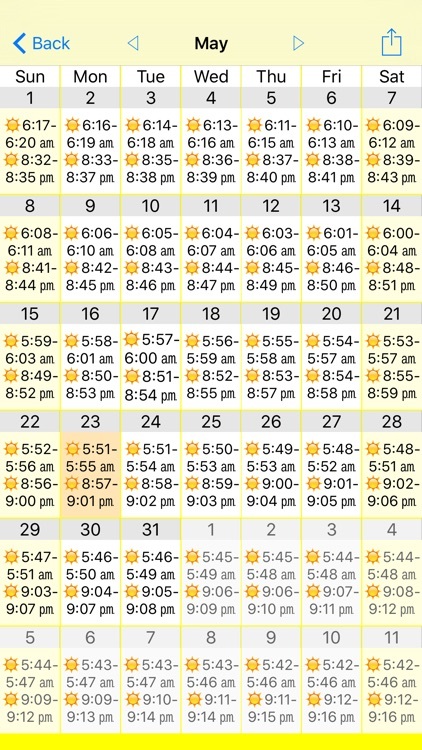 Under the covers are displays that show tables of solar event information for a day, a week or a month. Here you can request to be notified of the events on a daily basis. You can post the information to social sites, email information about an event, message information about an event, or add an upcoming event to your calendar. We also support the Apple Watch. 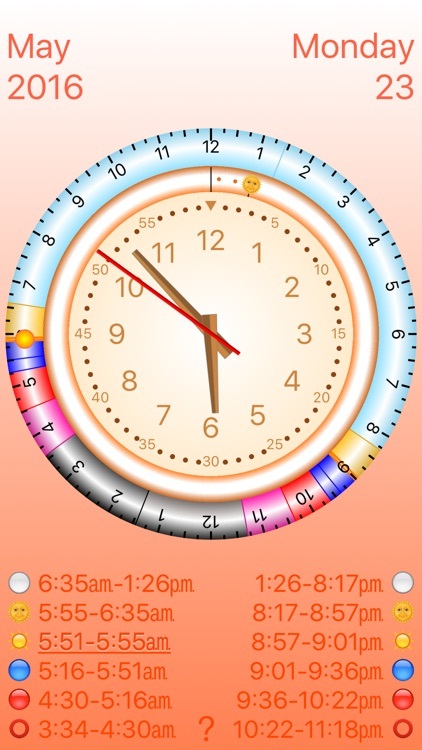 Your watch will show you "Glances" of upcoming sun events. 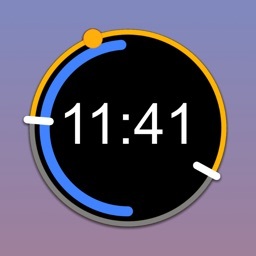 Your favorite watch faces may be configurable to allow Sun of Time to show the next sun event. 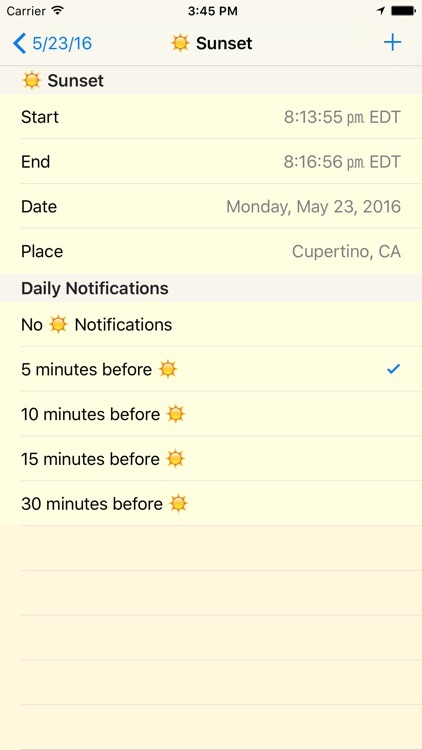 If you use the Notification's "Today" page, you'll be able to configure it to allow Sun of Time to display today's sun events.